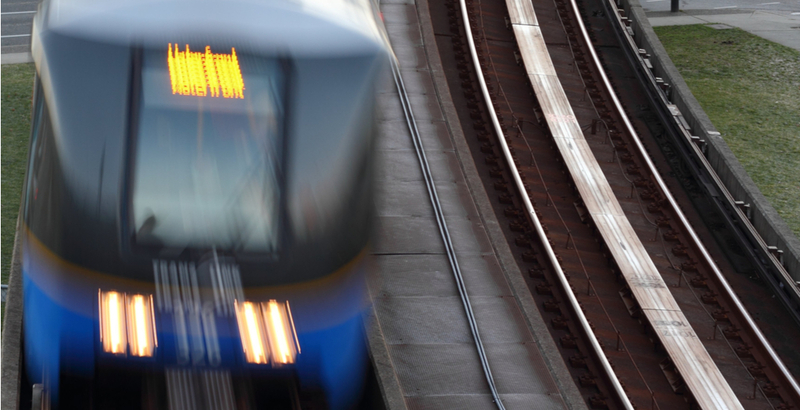 17-year-old facing charges after bear-spraying SkyTrain passenger who was moving "too slowly"
A 17-year-old Burnaby teen is facing charges after bear-spraying a SkyTrain passenger earlier this month. According to Transit Police, the incident took place on November 1, at a SkyTrain station in Burnaby. Around 9:40 am, a man and his son were walking down a staircase at the station, when they were confronted “by a youth who felt they were moving too slowly,” said the police agency in a statement. When the man turned to speak to the youth, he was allegedly sprayed several times in the face with bear spray. The youth was then seen running out of the station. The victim – who was having difficulty breathing after the attack – was assisted by a SkyTrain Attendant, and later treated by paramedics. Police said other passengers in the area were also affected by the spray, including an elderly woman who had difficulty standing and breathing. An investigation into the incident was launched and on November 2 at 11:30 am, the suspect was taken into custody from his Burnaby high school. He was remanded in custody is now facing charges of one count of Assault with a Weapon and, one count of Possession of a Weapon for a Dangerous Purpose. Police said the accused is “well-known” to police already, having committed “several violent” offences earlier this year. He was the subject of two Youth Court Orders and an Undertaking that prohibited him from possessing any type of pepper spray, including bear spray. The teen is scheduled to make his next court appearance in Robson Street Youth Court today.